What is the Kii.re Project? Kii.re ( /ˈkɪre/ pronounce as "Kee-reh" ) is an imageboard which stores graphic elements ripped from eroge. This includes character sprites (fully transparent), event CGs, backgrounds, possibly graphical menu elements, and whatever else the governing body sees as useful. The Kii.re Project is based on the actively maintained Moebooru, which itself has its root in the Ruby on Rails application. Yande.re and Konachan.com are examples of other websites using Moebooru. Who will manage the Kii.re Project? Other staff of the AS Project will be forced into helping manage the imageboard. Anyway, Checkmate decided to share access to Kii.re with the eroge loving public out of altruistic reasons. After all, it is a good resource for web and graphic design, which we are sure most people will use these images for. We're currently running without restrictions on the imageboard, but if it gets hammered by abusive leechers, we'll have to take steps that ensure the project survives. These may include throttling speed and/or connection numbers, region bans, turning the site private, or others. Sounds good, but is it legal? It is noncommercial. The board only allows users to showcase images and/or criticize them. Only a small portion of the artistic work is made available - no text/dialog or parts of the engine will be posted. It does not negatively impact the value or the market of the work being copied. In fact, this kind of use is pretty much the same as screenshooting/capturing videos of games played for the purpose of sharing them with the public through Youtube, image hosts, or similar. We intend to only allow selected individuals to upload in order to avoid abuse. More details will be made available as we enter open beta. During the Pre-Alpha Stage only admins may access the board. This stage saw us drafting the structure of the project on paper, creating a workplan and identifying possible issues that we need to address. Afterward, this announcement was made. Obviously the stage is done and over with - and it only took a year to get through it. The Alpha Stage is reserved for admins and infrastructure managers. In this stage we deploy the hardware, evaluate the setup, prepare all the necessary equipment and software, as well as simulate several worst-case scenarios and how to respond to them. This is where the project is at. Next, the Close Beta Stage. This is reserved for all other staff that will be drafted into managing the project. We'll start populating the database here, including tagging the first couple thousand images. This is like a firetest of real usage - and will serve to identify new issues, fix bugs, adapt the hardware as required, and settle staff into using the software for administrative tasks. The Open Beta Stage will be open for everyone. Having the general public view the system will allow us to further evaluate system performance, tweak settings as necessary, and make sure the project is meeting expectations. Finally, the Release Candidate. This will be used for one final evaluation of the system and to fix any issues that may have survived the previous stages. During any of the stages we may decide to go back a step. We currently have no timeplan for any of these, so stay tuned. After all that, we'll launch Kii.re officially. Of course, we'll continue to adjust, improve, and tinker with it as we go. How much can you serve up? Initially, we'll use a 100Mbps pipe (equivalent to 30TB of bandwidth per month). Should the project require more, and if we have the financial capabilities required, we'll scale it up. Keep in mind that there's considerable capital investment made already in the Kii.re project and maintenance costs won't be small either - meaning if we don't have the cash, we'll limit the public instead of increasing the scope. What content should we expect? 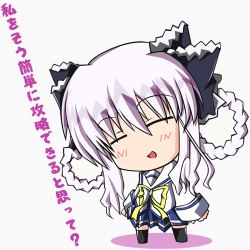 At the moment, we're only uploading eroge and galge rips. Doujinshi games won't be permitted. We currently don't have any otome games in the queue due to none of us playing them - see two questions down if you want to share parts of your otome collection. In addition, we'll prioritize established brands, companies, series, and artists. Unpopular content will take longer to show up than that which is well-known. What can I do as a visitor of Kii.re? I want to help out! Can I do anything to help? You can apply to be a mod, uploader, or tagger. Each position requires different skills and more will be made known as we continue with the project. The Kii.re Project will be funded and managed by the Anime-Sharing Project and at this time, Anime-Sharing does not accept donations. Are you collaborating with any other groups? The Kii.re Project and/or Anime-Sharing Project is not affiliated with any groups in anyway. If you have other questions feel free to ask them in this thread and we'll answer to the best of our abilities. Sounds good, but what hardware will you be using? It has to support both a database and an image library. Frequent backups need to be made to limit damage from hardware failure. The system needs to have strong enough hardware to actually utilize the 30TB bandwidth allotted to it. The master server lies at the core of the system. It provides the main application, as well as the user and administrator interfaces. It will also have to control the database, storage, and distribution servers. The server with be protected in a similar fashion as the main forum - redundant hardware, DDoS protection, and then some. Like the name suggests, this server will house various databases: image hashes, user information, and anything else required by the master server. To do its work in an expeditious manner it requires one thing above all others: really fast harddisks. For added security this server will only communicate with the master server and ignore the outside world altogether. This one stores the actual images. While not quite being up to par with the brute speed of the database server, it's still plenty fast. More important, there's an ample amount of space for backups. 24 x 2TB of Seagate Barracuda 7400 RPM ST2000DM001 split into 4 arrays of 6 disk RAID-5 each. A total of 40TB usable storage. Currently only one array is online. Please note that this server acts as the first layer in our backup scheme and as such contains more than just the images. It stores, verifies, protects from corruption, and finally distributes the data requested by the master server to the distro server. All that is done concurrently and seamlessly behind the scenes. This is where you'll get the images from. It pretty much lacks behind in specs after each and any of the above servers, but it doesn't have to be fast or big. What it has to do is transfer large amounts of data with enough speed to max out all the internet connections of users browsing the site. It's the only server that is not in the same cluster as the above. And just in case you're wondering: The above list is not exhaustive. There are more machines doing such tasks as acting as firewall, VPN, or CDN. For the purpose of brevity they were omitted from the article. As you can see, I wasn't kidding when I spoke about a "large capital investment". This time around I won't actually disclose the cost though - but if you want to wager a guess, aim for five figures - or six if you prefer Japanese Yen over US Dollars. Last edited by Checkmate; February 15th, 2014 at 01:53 AM. Reason: Made slightly less terrible. Neko, Terumi, SirEpic and 18 others like this. ahead with the project !!!! 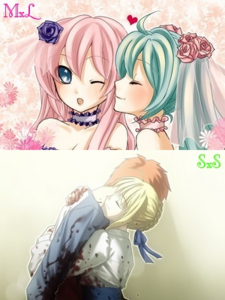 MikuxLuka & SaberxShirou are my favorite fanfiction OTPs! Click here for free Mediafire HCG, H-manga, doujin and more! Check and his photo album of wet and exposed underage girls. I wish the project success. ;P I hope I can be of some help. No one is able to stop him now. Any thoughts on when you'll reach the open beta stage? Site for sharing translated visual novels. Might have missed an announcement of some sort, but why are there almost no new releases?